In today’s day and age, with social media, people really want to be able to connect to you on a personal level. It’s really important when you’re coming into your own as a yoga teacher, is really finding your voice, and finding what it is that is authentic about you. In today’s day and age, with social media, people really want to be able to connect to you on a personal level. So, as you start to mirror, and you start to think about your favorite yoga teachers out there, even though they say imitation is the greatest form of flattery, you want to be able to make sure that you’re not imitating too much. And that you’re not watering down your true essence and who you truly are. What I’d encourage all new yoga teachers, and even existing yoga teachers, who are maybe struggling a little bit in their practice, or in their business, is take some time to really find your niche and connect to who your favorite yoga teachers are. What is it that you like about this particular yoga teacher? Is it their cues, is it their sequence? Is it the music, maybe it’s just a simple playlist? Is there an emotion, or something, that is tied to the way that they speak in their classes that you connect to? This is a moment where you really need to start thinking about how you want to be able to incorporate that into your own practice and throughout your teaching. No matter which way it is that you try to find your niche, the most important advice that I can give any yoga teacher, and any new aspiring yoga teacher, is to be genuine, be sincere, and always be yourself. Sandy Fernandez is a Mother, certified yoga teacher, clairvoyant, Financial Advisor and author of Karmic Currency Chakras and Money. She is now the President and Founder of Karmic Currency. Sandy combines her many years of financial experience, with her talent and love for yoga and spirituality. These soul renewing practices have been a part of her life for over 6 years and have played a major role in helping her get through some of life’s most difficult hurdles. Yoga has allowed Sandy to grow stronger physically, and most importantly, mentally. The New Moon in Aries on April 5th, at 15°, marks the beginning of a new cycle and is especially ripe with opportunity for new beginnings. The square to Saturn means you have to try hard and really want it. There can be no short cuts to success with this new moon. This new moon will help you identify any sadness, fears, or inhibitions that stand in your way of professional success or companionship. One of the traditional rules of interpreting new and full moons is to analyze the ruler of the sun in the new moon, or the moon in the full moon. For the Aries new moon, first, we go to the ruler of Aries, which is, Mars in Gemini. Multi-tasking is the first key to success. Then we look to Mercury, as Mars is in Gemini and is ruled by Mercury. Mercury is in Pisces; therefore, bring your imagination when pondering the how-to of any situation. Last, we look towards Jupiter in Sagittarius (The traditional ruler of Pisces is Sagittarius). 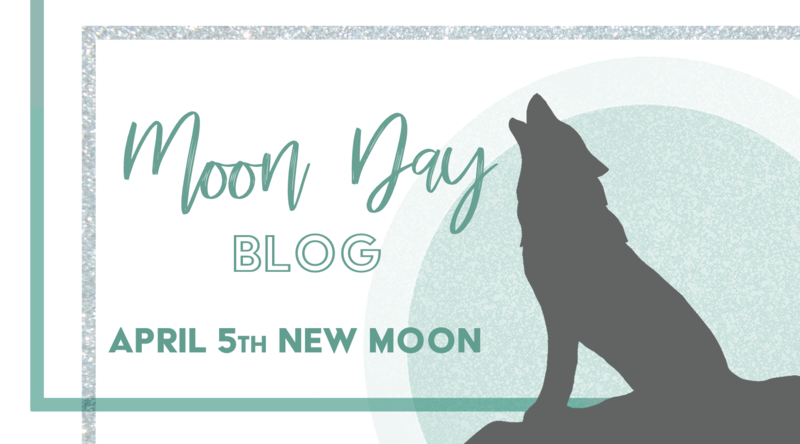 Confidence and faith, along with moving outside of your comfort zone and expanding your knowledge, are the other components to manifesting this new moon cycle. Consider acting on a constructive impulse and following a hunch, or taking a risk. It’s time to take action. Try something new and innovative, and go at it with enthusiasm and confidence. Be assertive without being abrasive, taking charge of our lives. Start a brand new project, and discover our courage. Aries learns through experience and action so that we might treat ourselves to a little adventure. During this time we learn how to discriminate between what seems essential, and what is actually necessary. Through potent Aries energy, we re-evaluate our relationship to ourselves as we have the chance to make powerful changes in our lives. This is an excellent opportunity to re-examine the truth of how we’re living, what our intentions have been, and where they need to change, or remain the same. If something seems urgent, it doesn’t mean it is important. Make solid, yet, realistic plans to set the stage for reaping the rewards from our new beginnings, as little or big as they may be. We can also discover the benefits of expressing ourselves with authenticity, expressing as we are, without putting on airs. We might even find ways to learn how to rely on ourselves and to be happy about doing so. It will go a long way towards finding inner happiness when we know that we can be self-sufficient without blaming others for not helping us out. It’s a time to revitalize ourselves through the experiences that dissolve routine and involve doing something different. The new moon in Aries is about taking a risk in something that you’ve wanted to try or do. Mars is in Gemini, and that relates to communication with the other. Whether that’s through conversation, networking, adventures, taking pictures, or creating art together, this is the perfect time of connection. Neptune (spiritual divine love) is in Venus (earthly love), and both of these elements combine beautifully. It is a first-quarter square to the planets of Saturn and Pluto. These two planets have a big reputation of pushing through obstacles and demanding that we let go of what no longer serves us. Aries is square (self-assertion) to Cancer (family) and Capricorn (professional life), and it’s opposite Mars in Gemini (partnership). These aspects of the Aries new moon can also challenge our relationship dynamic with family, partnerships, and career. You might find the need to create healthy boundaries for time and space this weekend, even though initially it may be hard to speak up for yourself. Our other aspect is the moon square to Saturn. With this, there may be some roadblocks surrounding our new beginnings. Our visions may not get off the ground as quickly as we’d like. It could be an external authority figure, overbearing partner, a boss, kids, parents, a police officer, etc. that wants to rain on your parade. You can relax knowing that it’s just the old school patriarchal system at play that says, you have to do this, think this way, and you cannot have your way. This will pass as we are in a rare window when none of the major planets/bodies are retrograde, and things may very well swim along after this check-in with reality. You will see that it’s a dance of push and pull with the north node of the moon in Cancer saying, I need to have my own rules, boundaries, space, and time. The energy of Capricorn in the south node of the moon says, I have to do what someone else wants, what someone else says, and complete prior commitments. To bring some release, Mars in Gemini is the right place to speak your truth and have that awkward conversation. Be clear in knowing yourself, trust your instincts, and honor the direction you are being called. It could be a time of breaking old traditions, commitments, contracts, jobs, laws, rules, and to make new commitments, jobs, laws, regulations that have more room for your creative self-expression of who you are now. You may find that April is very busy in your world and to be productive, you need to choose what is most meaningful to do with the time and energy that you have now. Aries is a cardinal sign, and that means to put yourself first. Be sure the initiatives you start now are in alignment with who you sincerely are, and with your sense of integrity. As we give and take we mold and shape a new reality. It doesn’t just fall into our laps, but it’s up to us to assert, trust, speak, listen, and cooperate. Mars in Gemini is where we figure out what we want and can do for others, but also learning how to say no with kindness. Aries is asking us to trust our instinct by connection to our solar plexus chakra through right action, intention, self-identity, and vitality. Sabian Symbol (words that correspond with each of the 360 degrees of the wheel of the zodiac) for the 16th degree of Aries: Nature Spirits are seen at work in the light of sunset. Keynote: Attunement to the potency of invisible forces of nature. In the light of personal fulfillment (symbol of sunset and wisdom), man may be able to establish a life-giving contact with natural forces. When this Sabian symbol reaches into the consciousness of a man seeking meaning, it should be seen as an invitation to open his mind to the possibility of approaching life in a holistic and non-rational, intuitive manner. This is the first stage of the fourth five-fold sequence of cyclic phases. It implies a call to repotentialization. What this means is, the process of, becoming like a little child. Protect the inner child so that it stays open to the magical mystery. Be conscious and aware of becoming familiar with your frequency. Check in with yourself throughout the day and reset when you need. See if you can raise it by thinking of something that makes you happy, look at the sky, trees, a person, or love an animal. By choosing love we not only evolve individually, but collectively and this is where we’re going, but we have to be very conscious about it. Remember the inner child as you set your intentions this day. It brings me great joy to offer you our very first Omstars Moon Day Blog Series! I’m nervous, scared, excited, and all things – but you know what?! I decided that I have to do this for myself and not behave the way my mind would want to. It feels good to shed some new skin, push out of our boundaries and shake up what we’re used to doing. T he Full Moon enters Libra Wednesday, March 20 at 9:43 PM EST. It’s a rare and powerful event as the Super Moon and Equinox land on this same day. The Equinox in the sign of Aries is about questioning what’s important to us as we connect to our hearts and co-create our reality. Do we want what we see or do we want something different, maybe new? Open to the real potential of you living your wildest dreams. We end a cycle most recently with the Sun moving through Pisces that was finishing, closing, wrapping things up from the previous year making way for this time. It’s a culmination of all the inner-work that is going to manifest socially in our relationships and the world. Libra full moon is a time to bring fairness, balance, and right relationships into our lives. Major life issues may come up for transformation and resolution. Significant aspects of your shadow may emerge to be integrated, loved, or acknowledged. Significant challenges may arise for you to change your trajectory to align you with your highest timeline and potential. The super full moon in Libra highlights relationships, with restoring the balance of energy shared and given. Pay attention to what comes up for transformation, healing, and resolution. Ease of opportunity to show you a whole new way to show up in your relationships. How do you balance giving and connecting while taking the time to nurture, uplift and support yourself? Go within your practice (meditation, yoga, outdoors), so you can develop and bring greater love and awareness to all relationships. Through this, there is potential for flourishing connections and for the ones out of balance they may fall away. Use your awareness to observe from a place of non-duality. Recognize where the relationship is giving you opportunities to learn and grow. See where it is mirroring to you something about yourself and how you can expand into your higher divine self. This year, the equinox point is conjunct Chiron. This conjunction stands out because it is very close together. Chiron is a symbol of holistic healing. It means that 2019 will be the year of holistic healing. The Northern Equinox conjunct Chiron implies that at a collective and individual level, this year we will have the opportunity to restore our wholeness. No matter what needs healing in your life, in the coming year you have the chance to regain your balance and become whole again finally. In these alignments, an opportunity to access higher realms and dimensions of spirit by an influx of divine crystalline light assisting and supporting you in embodying the next level of your highest divine truth. There is a new potential in how we can live our life. We’ve seen the possibility of what we could do, have, and become. It’s a process of rapid reorganization with what no longer serves us. We will have to go down into the lower world and face what’s in there. We will have to open ourselves to the mysteries of the upper world and embrace the unknown. Yes, the journey will not be easy, but it will be worth it. There is no greater gift than restoring one’s wholeness. We are not alone as Chiron is also a symbol for mentors, so you can expect to find a mentor that will steer your life in the right direction. You may also find yourself traveling to holy sites to receive messages and spiritual growth. Emotional maturity and connecting with our hearts will enable us to speak our truth. The true you always existed, and now it wants to be living in your physical character, personality, and actual life. Cosmic Service will be more prevalent to raise the consciousness of humanity. Get somewhere with a good view low to the eastern horizon at dusk on March 20th. A pale orange moon will appear due east, and quickly become pale yellow. It’s golden for a few minutes if there are clear skies. If not, you’ll have to wait for 29 days until the next one. That’s half the fun. I wish you clear skies and wide eyes! I get a lot of women asking me how I can possibly find time to do my yoga practice, take care of a baby, keep up with the house, and maintain my job and relationships all at the same time. I’ve had women tell me they are hesitant to have a baby because it just seems like too much for one woman’s plate. Well. It is. It’s a lot. There’s no denying that and I would be a total liar if I said I had everything under control all the time. There are days, sometimes weeks, when the only asana practice I can get in is sun salutations. My sink almost always has a few dishes in it. I definitely don’t teach as many classes as I used to. And sometimes I can’t help but lose my cool, collected nature and get carried away with stress or worry. But overall, I am happy. I have an amazing family, I get paid to teach yoga and write from home (or anywhere in the world! ), I’m physically healthy and emotionally stable. I feel balanced, supported, and nurtured in my everyday life. And I owe much of it to these five principles I’ve implemented to keep myself centered and focused. If I’m off my game, there’s a high likelihood that it’s because I’m neglecting one or more of these very important foundational pillars of a balanced life. They really do work. And today I’m sharing my personal tools with you, to help you find that same balance and fulfillment in your own life as a mother (or future mother!). Set Boundaries. Say no when you need to. You don’t need to do everything all the time. You aren’t supposed to give endlessly to everyone else until you collapse from utter exhaustion. For a very long time, women have been taught to believe they must give 110% of themselves to both their work, household, and children everyday. How draining! I don’t even think it’s actually possible. So we need to honor that we, too, are human beings who need set boundaries on how much energy we can healthily pour out into the world. If there is an area in your life that is pulling away from your ability to thrive and serve simultaneously, honor your feelings and make a shift. Lighten your Load and Focus In. Practice minimizing priorities so you can be more fully present. For example, If I’m feeling overwhelmed and frustrated that there isn’t enough time in a day to do all the things I want to do, I pause. I focus on what’s happening in the present moment, and come back to prioritizing the bare minimum: family, health, and wellness. I ask, “What’s most important here? In this particular moment, here and now, what needs my attention most of all?” And then most of the time I realize my mind has wandered off into Stress Land and pulled me in a million directions, away from Right Here, Right Now: the peace and simplicity of the present moment. When I focus back into the present moment, I can relax about all the things that “need to get done” and enjoy myself again (and usually, consequentially, become more productive than before!). Set Aside “Me” Time. Treat yourself! This is so important. We need time away from the chaos to recharge. Think pure pleasure. What makes you happiest? Maybe a bath with essential oils and a cup of tea, a yoga class, massage, or dinner date with your girlfriends while someone else watches the kids. Maybe it’s a trip to the mountains or something else entirely. It doesn’t matter what it is, as long as it refills your cup and makes you happy… like you’re coming back home to yourself. Nourish your Body. Make fresh, healthy, complete meals everyday. Eat whole foods. Drink water and mineral rich herbal teas throughout the day. Practice yoga, stretch your body, take walks, get enough sunlight and enough sleep. I know I personally feel happier, healthier, and more capable of tackling the day when I’m consciously filling my physical body with the right nutrients. It’s imperative that my wellness is taken care of in order for me to properly show up to take care of everything else in my life. It means I play with my son more, I write and teach with more clarity, I get way more done around the house, and I’m overall more efficient. Ask for Help. You were never meant to do it all alone. Raising children takes a village. I would not be able to do all the things I do if it weren’t for my husband, my mom, and my friends. They are so so helpful and always there when I need a break (my “me” time!) or a few hours of uninterrupted writing time. We’re social animals; we all need to rely on other people sometimes. If you feel like you need more help, get it. Ask your partner, your mother, your best friend, anyone. If you’re lonely, reach out and make play dates. Find a strong community of women to be a part of, and get the support you need. We’re all in this together! Things are not as linear as they might seem. I wish at times they were. Sometimes I wish I could accumulate enough wisdom to be unharmed by life’s blows. But challenges do like to stop by for tea rather often. And they dress for the occasion. They know how to throw a party. And each unwanted and unexpected challenge can yield a lesson in the same way an oyster can yield a pearl from an uninvited grain of sand. Resentment is an interesting characteristic that can hold your leash very tightly. On the outside it makes you feel that you are protecting yourself by choosing between what’s right or wrong. Resentment is an uncalibrated scale of justice. It’s us playing God. A façade that masks your fear and pain momentarily and inefficiently. Resentment creates scars around your heart. It can potentially redefine the way you see things, making the world a less forgiving place. Unfortunately there is no immediate clap of the hands and, voilà, goodbye resentment. There is observation of our feelings. Our words. Our relationships. Our silences. Our thoughts. Resentment diminishes every time that we look at our lives through the magnifying glass of compassion and forgiveness instead of the laser beam of pride and righteousness. Because I don’t want you (and me of course) to waste time being resentful about things over which we have no control. Because sometimes the person or situation that you feel has harmed you might no longer be there to dispute with you. And so the same song gets stuck on an eternal repeat. Because love is too precious to be traded for resentment. In a more forgiving world, our relationships nourish us because we are able to see through other’s scars to their underlying divinity. And that recognition heals us both. Doable? You can be sure. Adrian Molina has been teaching yoga continuously since 2004. 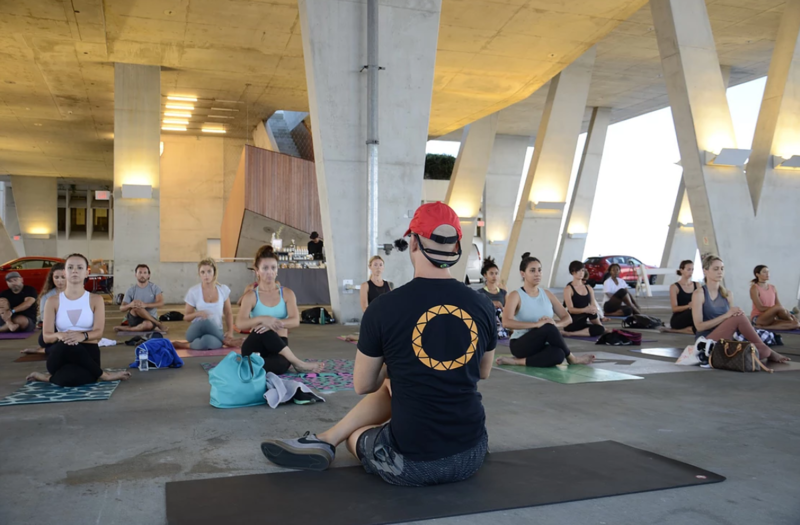 He is a well-known and respected instructor in Miami and New York, with an extensive worldwide following through his platform and school of yoga, Warrior Flow. This quote sticks in my head like one of those earworms that creeps into your head off the radio and keeps popping up to annoy you and everyone around you each time you catch yourself singing the song. Very few people have Pema’s ability to find the wisdom in everyday life with such clarity and intensity. Everyday life is not all unicorns and glittery angels but the nitty-gritty stuff that we go through each day. How can eight simple words convey so much meaning? I am taking a breath of relief. None of our paths are made of smooth pavement only. Sometimes our paths are made of dirt and mud and rocks. And occasionally broken glass. But even in those cases the path is still the path. We can’t live our lives chopping out the parts that are not that pretty. We can’t delete scenes, crop here and there or change filters to get a brighter reality whenever it suits us. We tend to be master editors of whatever is happening. But in reality, we all know. A lot of the events in our lives might not be Facebook or Instagram material but they also serve a purpose. They are an important part of the path to enlightenment, part of the full spectrum of circumstances that is your life. They keep you real. They break you open and they keep you open. Observe everything. The big and the small. The shiny and the dark. The glamorous and the shameful. The victories and the defeats. Learn from every situation. Look at yourself. Your ups and downs in a single day. Using everything in our lives as fuel for growth is how we become more integrated human beings, and more loving. Because the more we understand and accept the roller coaster that our life is sometimes, the more prepared we are to understand someone else’s roller coaster — because we know that whatever arises in our experience is always the path to enlightenment. For the last several years of my life, I’ve followed the same morning routine: I wake before the sun, enjoy a hot cup of coffee, and then spend an hour and a half moving through the Ashtanga Yoga Primary Series with the sound of my breath and a room full of other inspiring, sweaty yogis. I found Ashtanga (or maybe more accurately, Ashtanga found me) during a dark period of my young adult life, and it helped me not only see that there was a light at the end of the tunnel, but it gave me the map that helped me get there. With every practice I was transforming for the better. The promises that the yoga practice gives us (a strong, healthy body; a calm, steady mind; a peaceful heart) kept me coming back for more every morning. It was easily the most important part of my life, and took priority over everything else. I decided to devote myself whole-heartedly to the practice of yoga. No distractions. Just sacred mornings with myself on the mat, simple days, and early nights. And then I had a baby and my whole world changed. When you give birth to a child, you give birth to a new you at the same time. You go from maiden to mother within a matter of moments and no amount of reading, nannying, meditating, or yoga can truly prepare you for that enormous shift. It is it’s own beast. Nothing will dig deeper into your soul and ask more of you than motherhood. It is, in my humble opinion, the ultimate yoga practice. Suddenly, your life, personal time, and your body (even after pregnancy) are not merely your own. Your entire being revolves around this tiny, helpless, adorable human. Everything else comes second, including sleeping, eating, showering, peeing alone, and, yes, even morning Mysore practice. Being a mother is by far the most beautiful, empowering, and awakening experience I’ve ever had the pleasure of knowing, but it is in no way easy. I’m going to be honest. I didn’t come to my mat every day after giving birth to Connor. I just didn’t have the physical or emotional capacity yet. In fact, most days, if I was lucky, I’d make coffee and actually drink it while it was still hot. I’d get a few sun salutations in, or maybe just a few moments of quiet introspective stillness, and call it good. My mornings were still sacred in their own right, though. There is nothing more fulfilling than spending a few extra snuggly hours in a cozy bed, nursing your little baby. The truth is, even without my steady asana practice, my yoga took on a whole new depth and meaning when I became a mother. I had to become more flexible in my mind than ever before. Every diaper changed, every dish washed, every hour of sleep missed became another opportunity to breathe consciously and surrender to the present moment. Every day in every way was a practice of patience, mindfulness, and compassion. But it is just that: a practice. In Ashtanga, we call it the Seventh Series, the hardest yoga series of them all. It’s the practice of engaging fully in family life, of maintaining and nurturing our relationships, and in my current state, the practice of being a good mother. Connor is 17 months old now, and it still doesn’t take much to throw me off balance some mornings. I get frustrated at him for just being a toddler. My mind spins around my own desires and stresses that I lose sight of what is truly important: simply staying present and patient with my son. But it is nearly impossible to dedicate yourself to an outside force if you neglect your own needs. As mothers, we are constantly giving all we can from the moment we wake up til we finally pass out at night, and we simply aren’t as productive or helpful if we aren’t taking care of ourselves, too. When we’re depleted mentally, physically, or spiritually, we cannot give our family everything they deserve. That’s why it’s so important that we ask for help and find ways to slow down, prioritize self care, and nourish our souls. We need breaks. We need support and validation. We need to soften our edges and be gentle with ourselves. It doesn’t make you a bad yogi if you don’t do your full practice every single day. And, on the flip side, you’re not a selfish mom for taking time to yourself to get your yoga practice in. You’re human. And finding the balance between showing up for your children, your work, your family, and yourself is hard. We just need to stay flexible. When I take the time to cultivate peace and kindness inside myself, I’m better able to give it to the world around me, so I still prioritize the practice. It is part of my self care ritual. Now I’m on my mat every day again, usually early morning while Connor is still sleeping, and it’s such a special time for me. I don’t always finish before he wakes up needing me, but that’s okay. Yoga is fluid and we must be too. Yoga allows me to flow through motherhood rather than fight against the current of my new life. It gives me the strength to play with my son, the patience to teach him, and the capacity to envelope him in deep love every day. By devoting ourselves to the discipline of a yoga practice, those little moments in life become deeper, richer, and sweeter. It strips us of the unnecessary layers and limits we’ve piled onto our identity and allows us to live in pure awareness. It brings forth the truth of who we are and we become stronger for it. 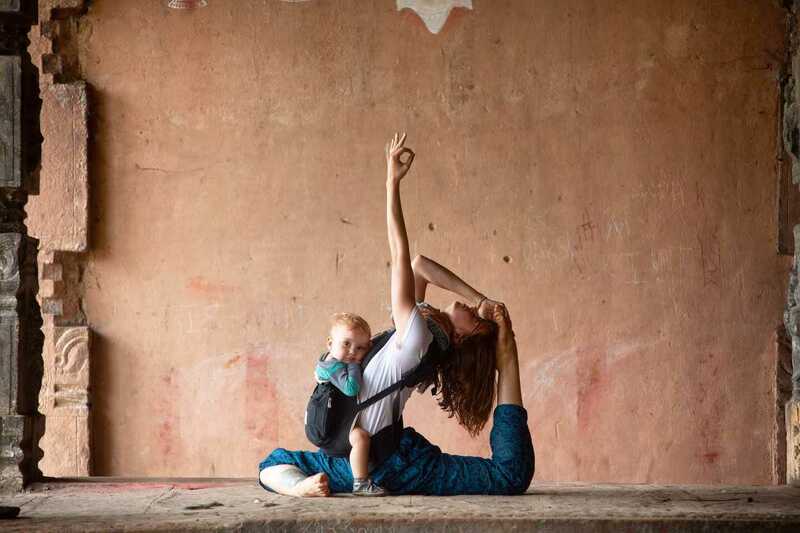 When I can remember that motherhood, the Seventh Series, is my yoga practice first and foremost, it is so much easier to react from my heart, to move and speak with joy, peace, and perhaps most of all, gratitude. Deep, unwavering gratitude for this amazing little human, for my beautiful and strong body which grew him, birthed him, and continues to nourish him with milk everyday. When I go through my days with this clarity, my world feels lighter. I’m able to extend more of myself in every area of life. I suddenly see that there is time for all the things that need to get done, and I am capable of doing it all with grace. I’m still finding my way of course. I get in my own way and stumble along, but I put my best foot forward and love myself anyway. Right now, that is enough. Because morning Mysore practice will always be there, waiting for me to center my life around again. But Connor needs my devotion now. He deserves his fair share of that attention and energy. Because he will grow up and move out and go on with his own life, and so will I. This small phase of motherhood, with it’s exhaustion, it’s messes, slobbery kisses and milestones is fleeting. I want to embrace it now, while I can. So to all you mothers out there, I see you. I feel you. Prioritize your happiness, knowing that your family benefits most of all when you are well. Continue to do your yoga practice, but don’t beat yourself up about it for being different now. You are different now. You’re stronger than you give yourself credit for. You are seriously amazing and so, so appreciated. So keep going, mama. We need you. Emily is a writer, mother, lover, and yogi. 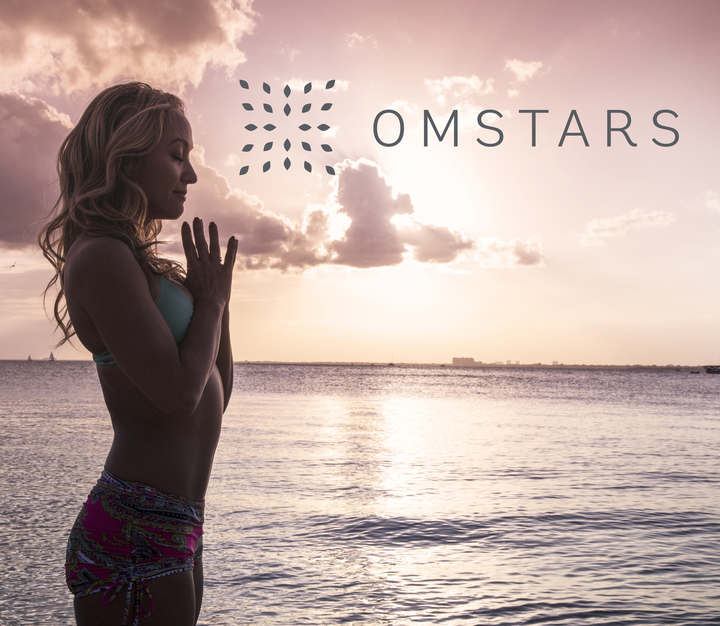 She enjoys the simple things in life and takes refuge in her loved ones, morning Ashtanga practice, and time outdoors. When she’s not teaching, writing, or playing with her son, there’s a high probability she’s hiding out in the bathtub with a good book and a cup of tea. It has been almost 15 years since I took my first yoga certification. And it has been probably 14 years since I became a full-time yoga instructor. My life between the ages of 25 and 39 has centered around the practice and teaching and study and business of yoga. My practice has morphed so many times, like one of those beautiful cephalopods that change color based on the environment they are in. I could definitely say that my practice has always been a reflection of my life’s ups and downs. Many times my practice was the refuge to cope with life’s challenges; other times, the practice itself was the challenge. There were periods of love and hate. Closeness and distance and everything in between. I would like to share some of the things that I’ve learned over the years, things I’ve been reflecting upon lately. Hopefully this offers food for thought for those who are new to yoga; who knows, perhaps even for seasoned practitioners. This is based on my experience and it’s purely subjective. You will learn a lot from your teachers. But the most important lessons will come from facing your own mind on the mat. Learn to listen to that voice, acknowledge it. And communicate with it. The postures are great. But the real gift is learning to treat your body with kindness and respect. At times you will use the practice and the postural aspect of it to satisfy your ego. Remember that this is a stage that many go through, look at the bigger picture, and remember the gifts of the practice are innumerable and they exceed the shape of a pose. Your teachers are human beings. They are real-estate brokers who became yoga teachers. Ex-lawyers. 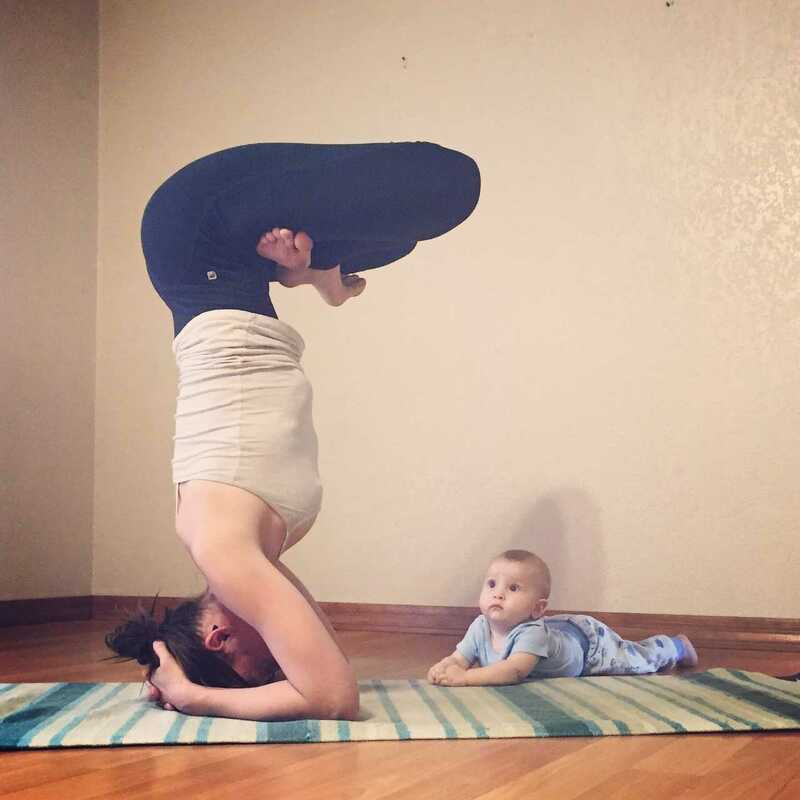 Moms who teach yoga. Sales executives who decided on a midlife change of career. Your teachers are not enlightened beings who descended to earth to spread enlightenment. The longer you hang around the yoga scene, the more you’ll notice that quite a few yoga teachers have a few missing screws. But others have genuine hearts and wisdom that shine through in every word and action. For the most part your teachers will want to share the teachings. When that is not the case, wish them well. They are teaching you a lesson. Even when their behavior doesn’t match your expectations or they fumble and embarrass themselves, they are showing you what kind of teacher you want to be (or don’t want to be) and for that we acknowledge their presence. Yoga is not a religion. Schools of yoga, and lineages, are often managed as corporations. Find out who are you studying with, and who they studied with and who that person studied with. Don’t drink any Kool-Aid. There are many Kool-Aids out there, and some of them are really toxic. But Yoga is Yoga. Learn all yogas that are wholesome and beneficial. Don’t push your style of yoga on anyone else. Everything has its own time. Be okay when the practice recedes to an old abandoned drawer. You might think that you’ve lost your love of yoga. That’s not true. It will change shapes, colors, intensity, rhythm, but the gifts of the practice will always belong to you. The greatest gift of learning Yoga will be sharing it with others. In being a teacher you will learn to communicate with others, to treat others with kindness, to empathize with others who are experiencing difficulty or pain, and in that process you will learn the meaning of forgiveness and tolerance. In the teachings of yoga you will find the strength to keep going when you feel defeated. Yoga will always be with you. You will practice yoga every moment of your life, whether or not you are standing on a mat. The practice and the teachings expand far beyond the studio walls. They encompass your ethical behaviors, your work choices, your way of speaking, who you associate with, what you eat and purchase. Ultimately they will be there with you in every breath, until the last one you take. Trauma field luminaries such as Peter Levine, PhD and Bessel van der Kolk, MD, among others, concur that trauma is in the body, not in the event – or in the story of the event. Trauma, they propose, is locked in the physiology as incomplete survival responses perpetuating a dysregulation in the autonomic nervous system – long after the event has ended. These processes are operating at the non-cognitive level of the brain stem and limbic systems, encoded in implicit memory as autonomic neurobiological and behavioral responses. “Traumatic symptoms are not caused by the event itself. They arise when residual energy from the experience is not discharged from the body. This energy remains trapped in the nervous system where it can wreak havoc on our bodies and minds.” Peter Levine, PhD, author of In An Unspoken Voice: How the Body Releases Trauma and Restores Goodness, published in 2010. “PTSD involves a fundamental dysregulation of arousal modulation at the brain stem level. PTSD patients suffer from baseline autonomic hyper-arousal and lower resting HRV (heart rate variability) compared to controls, suggesting that they have increased sympathetic and decreased parasympathetic tone.” Bessel Van Der Kolk, MD, in remarks at the New York Academy of Sciences, 2006. The Polyvagal Theory (PVT) of the autonomic nervous system proposed by Dr. Stephen Porges, professor in the department of psychiatry at the University of North Carolina in Chapel Hill in North Carolina and leading psychophysiological researcher, can be conceptualized as a neurophysiological counterpart to the yogic concept of the gunas. Porges recognized that the autonomic nervous system responds in a highly sequenced, hierarchical response to environmental stimuli, based on a neural process he calls “neuroception” – an automatic function that evaluates risk and modulates vagal output, triggering or inhibiting defense strategies for survival. He proposed that, in addition to the sympathetic arousal system, there are two vagal motor systems – dorsal vagal (immobility) and ventral vagal (social engagement, emotion and communication) – and that primary emotions are related to autonomic function. Neuroception, as a process, determines whether specific features in the environment elicit specific physiological states that would support either a dorsal vagal immobilization response (tamas), a sympathetic fight-flight response (rajas), or a ventral-vagal or social engagement response (sattva). Any or all of these branches of the nervous system may become dysfunctional and/or “stuck,” as a result of overwhelming events, creating patterns of cognitive, emotional and behavioral dysregulation. Porges also re-conceptualized the autonomic nervous system to include target organ, afferent and efferent nerve pathways, and bidirectional communication between the heart and the central nervous system. The nerve fibers of the vagus nerve, which travels from the brainstem to the sacral area, are 80% afferent – meaning that they convey information from the body to the brain. Only 20% of the nerve fibers are efferent, downloading information from brain to body. This means that consciousness is in the body, as well as the brain. In yoga philosophy, consciousness resides even in the smallest atom, so why not in our cells and tissues? Brain physiology also lines up the brain with the yogic model of the mind. The brain contains evolutionary “layers” that develop as life required new modes of survival: a primordial/instinctual/primitive/”reptilian” brain equaling the yogic version of manas, our instinctual survival mind; the limbic system, primarily the amygdala and hippocampus, lines up with chitta, the storehouse of our memories; the sensory-motor cortex, insula, and anterior cingulate cortex, in their self-referencing functions, may equal asmita/ahamkara, our ego or self-sense of separate “I”; and the most evolved areas of the prefrontal cortex perhaps being the abode of Buddhi, the part of our mind capable of awareness, observation, discernment, attention and planning. 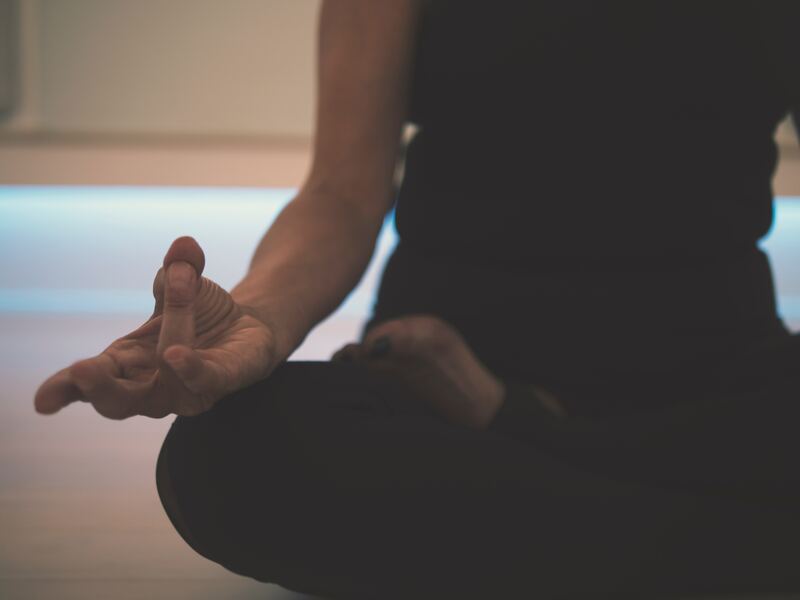 A recent article in Frontiers of Neuroscience, authored by Dr. Porges and researchers in the field of yoga therapy, describe how these two different yet analogous frameworks—one based in neurophysiology and the other in an ancient wisdom tradition—highlight yoga therapy’s promotion of physical, mental and social wellbeing for self-regulation and resilience, creating a “translational framework” joining these two philosophical foundations. Why is all this important? To see the yoga, or union, between various theories for understanding human consciousness, and behavior, provides us more tools to help those students who come to us seeking to grow and heal mentally, emotionally and spiritually. By having a clearer understanding of the inter-relationship between the gunas and the autonomic nervous system presentations of trauma, one can combine the right set of practices (or therapies) for each unique individual. In such a way, we can maximize the desired effects: whether it is for greater emotional balance, optimal physical health, clearer mental focus, or reaching enlightenment. Caplan, M. (2018). Yoga & psyche: integrating the paths of yoga and psychology for healing, transformation and joy. Boulder, CO: Sounds True. Swami Rama, Ballentine, Ajaya (1976). Yoga & Psychotherapy: The Evolution of Consciousness. Honesdale, PA: Himalayan Institute Press. Porges, S.W. (2011). The Polyvagal Theory: Neurophysiological Foundations of Emotions, Attachment, Communication and Self-Regulation. New York: W.W. Norton.